Today I will share with you a list of resources for the person that is starting out in recovery. Some of these sites can be found on my blogroll. NAMI - The National Alliance on Mental Illness has a fabulous website. It provides information about all kinds of mental illnesses, a support group locator for both consumers and family members and friends, advocacy skills, and articles about new research and treatments for mental illness. I often link to it in my posts. NEDA - National Eating Disorders Awareness provides online screening for eating disorders, general information about eating disorders and helpful articles and tips about being in recovery. NEDA is based in New York and offers support groups if you live nearby. Something Fishy - This site offers information about the signs and symptoms of an eating disorder, eating disorder news, and has a treatment finder tool. EDA - Eating Disorders Anonymous is a 12-step program to help people recover from an eating disorder. Its motto is eating food in moderation, not abstinence, which I like. (I think eating all things in moderation is a much healthier goal than Overeater's Anonymous', which calls for abstinence from snacking and certain other foods. I find that very triggering and unhelpful, especially since standard treatment for any eating disorder, including binge eating disorder, includes having two to three snacks a day. Hence, I will not provide the link to O.A.) The website provides a meeting locator and information on how to start a meeting. 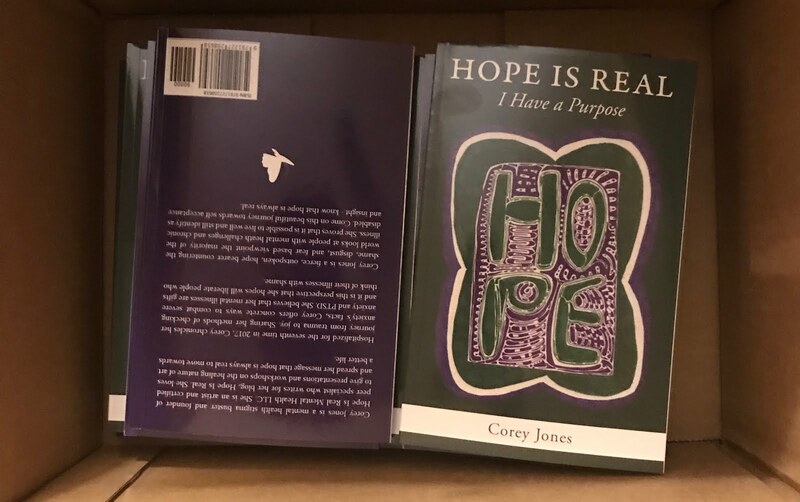 There are also a lot of recovery stories providing hope and all of their literature is available to be printed out, which they encourage you to do freely. You can even print out their whole EDA Recovery Workbook. I really like their organization-I just wish there were more meetings available! I have thought about starting my own, but I don't think I'm ready for that big a commitment. EDIN - The Eating Disorders Information Network is an Atlanta based organization that offers information about eating disorders and a list of resources in the Atlanta area and across the nation. ANAD - The National Association of Anorexia and Associated Disorders has a support group locator and information on eating disorders and treatment options. Healing from BPD - This is a blog written by Debbie Corso, a young woman who is in recovery from BPD. She is a wonderful success story, because by practicing dialectical behavior therapy for two years, she no longer has the diagnosis of BPD. Her articles are about using DBT skills and you can even purchase two books that she has written on the subject. Her blog post, An Open Letter from Those of Us with BPD is a must read for loved ones that want to understand more about BPD. My mom read it and she said it was very helpful. Her website also has a good list of BPD resources. My Dialectical Life - For $15 a month,Amanda Smith, who is another person in recovery from BPD, will email you a DBT skill every morning with ways to use it throughout the day and words of encouragement. 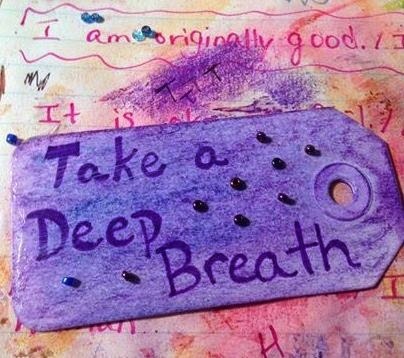 It is meant to help those who are taking or have already taken a DBT class to help them continue using their skills. I'm thinking of subscribing. My Recovery from BPD - Another DBT blog by a person in recovery from BPD! Aeshe is a trans woman and a sexuality educator, who writes practical tips about using DBT. I like her idea about making a self-soothing kit for when you're stressed and not at home. In fact, I really wish I had made one myself when I went on vacation last week! She makes lots of videos, which is a nice change in format. Behavioral Tech, LLC - This is Marcia Linehan's site (the founder of Dialectical Behavioral Therapy), which offers more information on what DBT is, in depth information on how to practice mindfulness, tools for clinicians and tools for consumers and a DBT center locator. But You Don't Look Sick.com - This site has The Spoon Theory story, which has been so helpful for me in finding validation and helping to explain to others why I can't do certain things. The story is applicable to any kind of invisible illness. I wish I had resources on bipolar disorder, anxiety, depression, or schizophrenia, but NAMI.org is a good place to start. I hope these resources help! It is easy to spout trite Christian platitudes designed to make people feel better with bumper-sticker theology. But insipid axioms do little in the face of the actual brokenness of the world. It is more courageous to ask the hard questions of God and wait for him to answer than it is to find hope on the side of coffee mug.